Spread the cost from only £99.06 a month with Interest Free Credit. 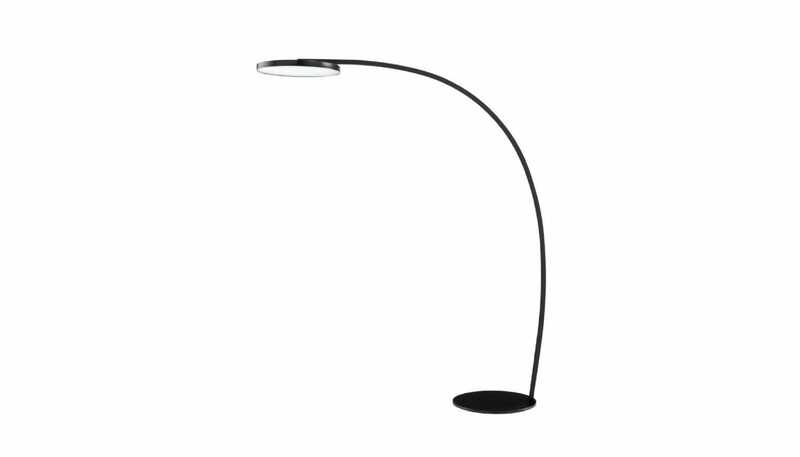 The very slim shade underlines the 'arc' shape of this lamp, creating a strong graphic element in a room. Satin black lacquered metal structure. Diffuser in 'diamond-point' translucent PMMA. Black foot switch. Black PVC cable. Integral 19 W LED module gives off 2,500 Lumens or the equivalent of a 180 W incandescent bulb.